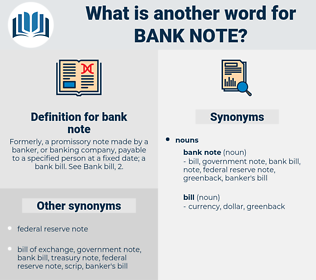 What is another word for bank note? 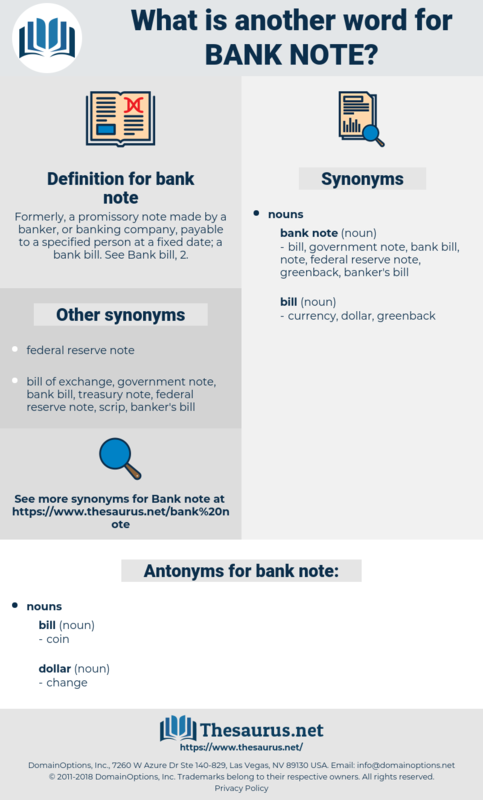 Formerly, a promissory note made by a banker, or banking company, payable to a specified person at a fixed date; a bank bill. See Bank bill, 2.
bank account, benignant, benzenoid, banknote, bunkmate, bemusement, benignity, banishment.